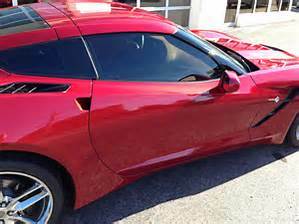 Precision Tint | Window Tint Tyler Tx. ​Welcome to Precision Tint! Glad you are here...We are your premier window tinting business dedicated to serving the East Texas area. Whether it be your car, truck, SUV, boat, bus, big rig, or limo , we got your back...and your tint!!! We provide the highest quality tinting film and material that protects you and your family from the sun's harmful UV rays. On top of that we pride ourselves on the cheapest prices available in this competitive market! So we are guessing that you Googled' "What is the best window tint company near me?" We'll let you be the judge of that. ​ We have professionals with years of experience to get your tint right the first time. SUNTEK is a company that has been proving themselves for a very long time. They manufacture superior window tinting films with cutting edge technology in today's competitive tint industry. ​With a variety of products to choose from, we install nothing but the finest films with enhanced IR heat reducing properties. Lets face it when it comes to your " whip" nothing keeps it from looking like a rental car like a flawless tint job! We use the freshest supplies and quality brand to stay up with the ever changing technology of our day. We want to tint your ride as well as provide you with options. We'll let you choose from the different shades of film keeping you in line with Texas regulation of course!! We don't want any trouble with the po po's!!! (more on that in a sec). ​There are plenty of options and shades to choose from and we will guide you every step of the way. So if your still asking whats the best window tint company around me?? Come see us. Solar control tints for auto glass perform by controlling the passage of the sun’s radiant energy into a vehicle, lowering cabin temperatures, and improving outward visibility by diminishing harsh glare. Tint almost completely eliminates the damaging and dangerous effects of ultraviolet light on your vehicles interior and eyes and skin. There are lots of reasons why the good people of East Texas reach out to us, so we have made a list of questions. Hopefully these will help you in your decision making process. ​There are a lot of good reasons to get your windows tinted. We want to give you a free estimate today...Hopefully that leads to many years of being able to handle all of your tinting needs (like when your daughter turns 16 and wants her windows tinted) . WE also do residential home window tinting. All of the same good things apply from above but we just apply them to your house instead. With home window tinting we will send out a representative to your home for an estimate then schedule an appointment.